Christine Jacobi Joins the Jesus Blog! 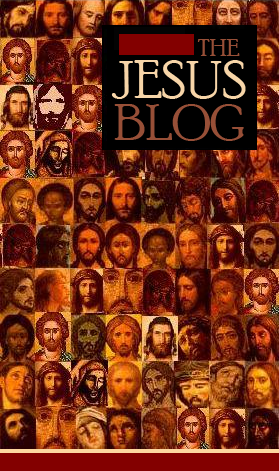 Today we welcome the first of our new bloggers to the Jesus Blog—Dr. Christine Jacobi. 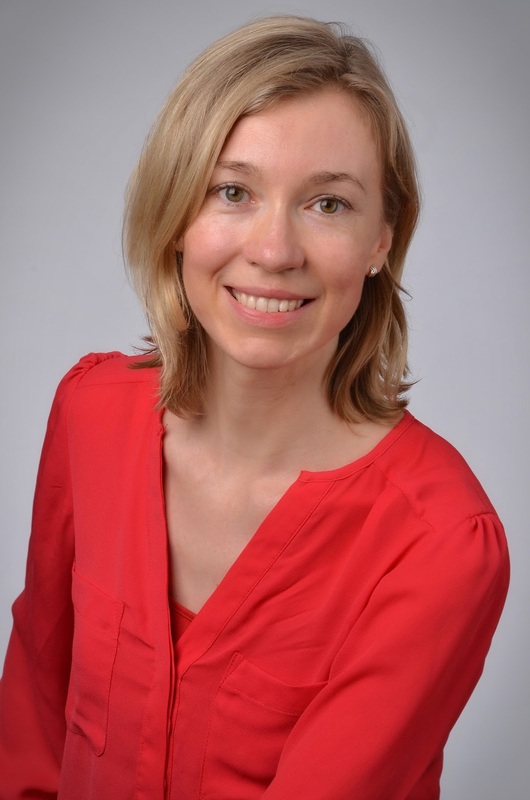 Christine is wissenschaftliche Mitarbeiterin at Humboldt Universität zu Berlin and is a perfect addition to the Jesus Blog because she is an innovative scholar working in the area of Jesus tradition in the writings of Paul. As is standard in the German system, she is currently writing her second doctorate (Habilitation) under Prof Dr Jens Schröter, whom readers of the Jesus Blog will recognize as one of the leaders in recent historiographical shifts in Jesus studies. Christine also wrote her PhD in Berlin under Schröter, which was published as Jesusüberlieferung bei Paulus? Analogien zwischen den echten Paulus-Briefen und die synoptischen Evangelien (de Gruyter, 2015). In this study, Jacobi argues that restricting consideration of Paul’s knowledge of the Jesus tradition to mining his epistles for words and sayings of Jesus from the Synoptics is ill-conceived. One must, according to Jacobi, be more attuned to Paul’s own conceptualization of Jesus and the Jesus tradition. Focusing particularly on his usage of “in the Lord,” she demonstrates that Paul “receives” “Jesus” as more of a hermeneutical sphere or orientation toward the past than anything else, and thus his reception of Jesus and Jesus tradition amounts to much more than simply repeating some words that Jesus may have said. This study is one of the first applications of the emerging “memory approach” to the Pauline epistles, and is thus groundbreaking in that and many other ways. We could not be more pleased to have Christine join us and we look forward to her contributions. I (Chris) should also mention that I’m particularly pleased to be working with Christine as a co-editor (along with Helen Bond and Jens Schröter) of the forthcoming 750,000-word Reception of Jesus in the First Three Centuries (Bloomsbury T&T Clark). She is also the co-editor (with Jens Schröter) of the forthcoming Jesus Handbuch (Mohr Siebeck, 2016). We will soon get her picture and books on the sidebar, but for now, welcome Christine! We look forward to your first post! The historical Jesus was a theologically-interested and invested human being. The Jesus tradition was created by theologically-interested and invested authors. Consequently, using theological language and vocabulary in order to understand the origin and development of this historical figure and tradition is virtually unavoidable. It is the interplay of social, economic, political, and theological forces that converge to create and sustain religious movements. The sociological structures of the Jesus movement, the economic pressures on rural Galilee, the political landscape(s) of the Herodian era, and the ideological and theological streams of thought and practice all shaped the lives of first-century Jews. History, in other words, is not simply a record or description of past events, but analytical explanations of the causal forces that generate events. So if our texts represent more than just the ideological thought-world(s) of the texts themselves, and we really want to understand them, then we need to understand and explain the historically enacted theologies of these particular ancient people. He continues, "The Jesus tradition contains multiple historical theologies about Jesus." Let's reiterate that all historical reconstructions are plural. There is no such thing as the "historian's Jesus"; there are Jesuses of many and varied historical reconstructions. Of course, we try (or ought to) make sense among ourselves and thus attempt to create a coherent collection of narratives. Moreover, some of these narratives will prove better than others and eclipse others in our collective dialectics. Is this all that different than the theological process of creating doctrinal insiders and heterodox/heretical outsiders? Isn't a similar power dynamic at work in both dialectics? The assumption that there is only one Jesus of history and only one Christ of Faith is ripe for reconsideration. 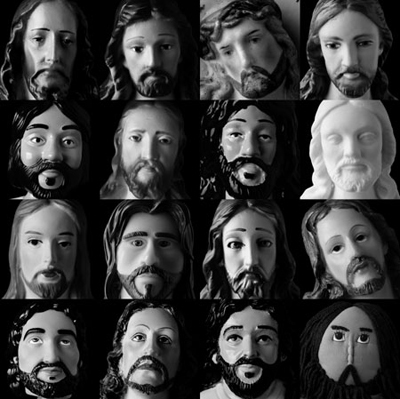 Finally, if we decide that the numerous biblical portraits of Jesus and the numerous creedal portraits, alongside the numerous historical reconstructions form an ongoing conversation, shouldn't we also acknowledge that many of these Jesuses and Christs overlap on any number of levels? 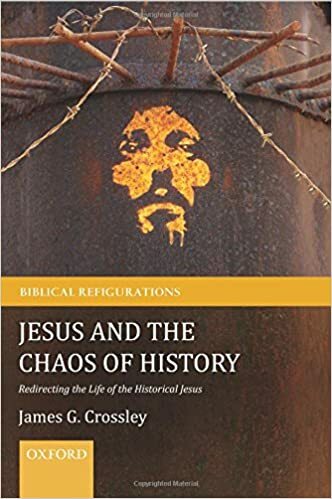 Is Historical Jesus Research Heresy? "[T]he most remarkable evidence for Christianity’s confusion – at both extremes [progressive and conservative] – is the fact that since the time of the Enlightenment, the longest-running of all Christologies heresies has deeply infiltrated the church with scarcely any protest or controversy, much less the calling of a council of bishops to clarify and defend the faith of the church. I mean the replacement of the Christ of faith with the so-called historical Jesus." I wonder what the guys at The Jesus Blog would say to that? I have a few thoughts on this. For a start, I might take issue with the claim that the discipline has infiltrated the Church "with scarcely any protest or controversy." Those of us fired and/or silenced because of our work on this topic have a different perspective. But I'll put it to our readers to answer the more important question: is historical Jesus research heresy? I'll be talking a bit about my book, The Wife of Jesus: Ancient Texts and Modern Scandals (now in paperback) tonight on "A Show of Faith" hosted by Rabbi Stuart Federow, Fr. Mario Arroyo, and Rev. Dr. David Capes. My interview begins around 8pm central time (9pm eastern). Can We Separate Theology from History in Jesus Studies? Can we separate theology from history in Jesus Studies? In a succinct and compelling post, Simon Joseph answers no. 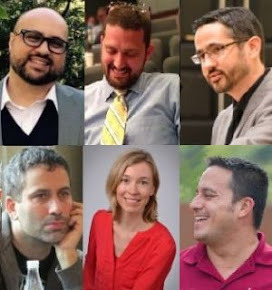 New Contributors to the Jesus Blog! And then there were six. Jesus scholars, it seems, are multiplying like rabbits these days. If we're not careful we will be dealing with a veritable plague of new voices in Jesus research. So to keep up with the times, the Jesus Blog will be expanding our roster of contributors from three to six. Yes, yes. I'm aware that this Breakfast Club photo only pictures five characters. You can think of me as Principal Vernon if you need the 1985 typology to fit. So how am I doing with the "keeping up with the times" thing? Next week we'll announce the first of our new cast of characters. I think you'll find her voice and perspective to be fresh, provocative, and interesting. Stay tuned. 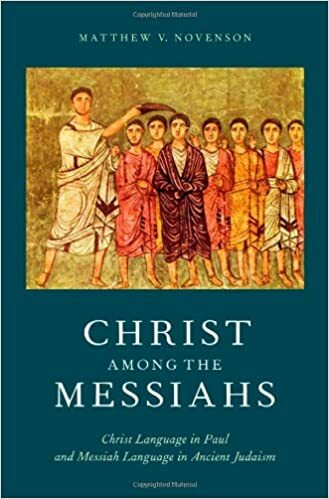 Matthew V. Novenson's new book, Christ Among the Messiahs is ascending my list of books to read this year. Joshua Garroway writes a must-read article for all Christian teachers, preachers, seminarians, social activists, auto-mechanics, astrophysicists, plumbers, theologians, sextons, and bros. I will require all my Introduction to New Testament students to read this short but important article. And it's not just because I'm an avid Sound of Music fan. First, I'm not sure that it was designed to be this way, but this book would make for an excellent textbook in a Jesus and Gospels class. The chapters are short and thus able to be read quickly. It's a Who's Who of Jesus studies, so you often get big-name scholars addressing their pet topics in a very accessible, and often funny, way. I laughed out loud reading Crossley's chapter, Levine's chapter, and several others. From the perspective of classroom use of the book, I was particularly impressed with Steve Mason's chapter, which gives something of a short overview of his theory on the Jewish war with Rome. He argues that it wasn't really about Jewish hostility toward Rome (that is, Second Temple Jews weren't, in general, all that anti-Roman) but Rome's ineptness in dealing with inter-ethnic hostilities in the Palestinian regions (specifically Jewish and Samaritan hostilities). This is a snapshot of his new monograph, but it essentially rehearses almost every major socio-political event in the Second Temple Period leading up to the war and provides a unified narrative for it all, a narrative that, to some extent, makes every effort to show all the exceptions that unified narratives usually cannot show. Second, it was interesting to see how many of the scholars brought up the Palin/Cleese "debate" with the Bishop of Southwark and Malcolm Muggeridge as well as the Not the Nine O'Clock News parody of the debate. Burridge's chapter addresses it in depth, but many of the other authors also felt the need to defend Palin and Cleese and point out the ridiculous nature of their interlocutors' comments. Of course, this is right. Their interlocutors' comments were ridiculous. But I couldn't help but wonder if some historical Jesus scholars feel a particular kinship with Palin and Cleese for having also suffered attacks and misunderstandings by ecclesiastical figures. Third, the book has a tremendous amount of diversity in terms of topics and methods. Ehrman takes steps into memory theory. Levine addresses sexuality and gender. Burridge addresses ecclesial issues. Telford addresses Jesus films. Brooke address the Teacher of Righteousness. Stiebel addresses archaeology. Mason, as mentioned, addresses socio-political upheaval. Taylor addresses reception exegesis. Bond addresses crucifixion. Reinhartz addresses Jewish identity. In one of the most interesting chapters, Katie Turner addresses how some Second Temple Jews dressed. All of this happens with tie-ins to Life of Brian, multiple quotations of the movie, and not a few F bombs. Indeed, I think this book probably wins the award for most F bombs I've read in an academic book, all well-placed. In short, not only is this book extremely insightful and easy to read, it's actually fun to read. Given how boring some books about Jesus can be, that's an accomplishment that editor Joan Taylor can hang her hat on! Don't forget to sign up to win a copy here. I have the great honor to serve on the board for the Ryterband Symposium. Each year Wright State, the University of Dayton, and United Theological Seminary jointly host a key voice in Jewish-Christian relations. This November 4, we will host New Testament scholar Amy-Jill Levine for two lectures. Stay tuned to the Jesus Blog for more details as the date approaches. "Do unto others what you would have them do to you. 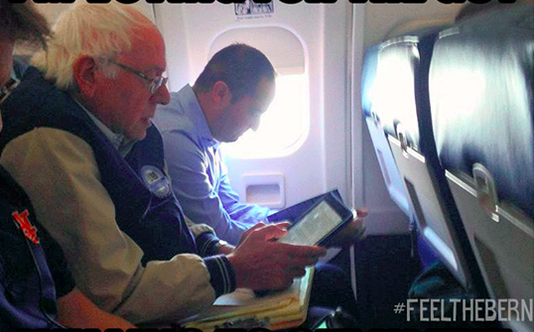 That is the Golden Rule and it is not very complicated," said Bernie Sanders. It was the right kind of crowd for an appeal to Mathew 7:12. Sanders addressed 10,000 Liberty University students today. Liberty was founded by religious-right luminary Jerry Falwell and hosted Ted Cruz's campaign announcement earlier this year. It is a university known for it's political affiliations. A couple decades ago this would have meant a particular incarnation of "family values" and public demonstrations of faith. In recent years, however, the GOP, has pushed fiscal conservativism to center stage. This is exactly the talking point that Bernie Sanders engaged to this very Jesusy audience. "It would be hard to make the case that we are a just society or anything resembling a just society today . . . . In the United States of America today, there is massive injustice in terms of income and wealth inequality. Injustice is rampant." According to Sanders this injustice stands in contrast to the ethics preached at the Sermon on the Mount. Sanders acknowledged that he disagrees with America's religious right on a number of issues including LGBT rights and abortion. But, argued Sanders, there is common ground to be had on the topic of fiscal ethics. This is a fascinating move on the part of Bernie Sanders. While the Jesus tradition fails to address marriage equality or abortion directly, it is rife with direct references to fiscal ethics. Indeed care for the poor is one of Jesus' most celebrated talking points. Sanders also pointed to Pope Francis as he preached against the "idolatry" of money. Such appeals challenge the conceptual darling of the Tea Party by setting the topic in conversation with Jesus. 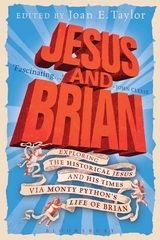 Jesus and Brian: The Historical Jesus and His Times via Monty Python's Life of Brian (ed. Joan Taylor) is finally available to buy. I'm reading it now and thoroughly enjoying it. But the good folks at Bloomsbury T&T Clark have seen fit to give a copy away. So here's your chance to enter to win a copy. Simply leave a comment, sign up to follow us (and leave a comment saying you did so), share this post on any form of social media (and leave a comment saying you did so), or . . . of course . 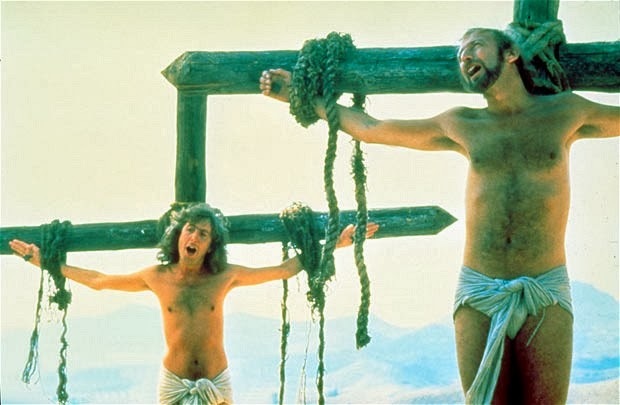 . . leave your favorite quotation from Life of Brian here. To our readers who are unaware but interested: you can repent of your religious blindspot here. To our mature readers: Happy Grandparents Day! To my son and Ray Charles: Happy Birthday! The gospel according to Donald Trump is pretty clear: the world is full of lots of losers and a few winners and the the winners deserve the glory. This is not a quotation from Trump. This is not a paraphrase. This is the persona that Trump has created for himself over the past 30 years of public life. This is the gist of what Trump is all about and I doubt he'd try to nuance my summary because nuance is for losers. There has been a rumor circulating that Donald Trump called Jesus a "socialist loser." This too is not a quotation from Trump. He didn't say it and (now that America has hit rock bottom) now that he is a viable nominee for the GOP he won't say it. 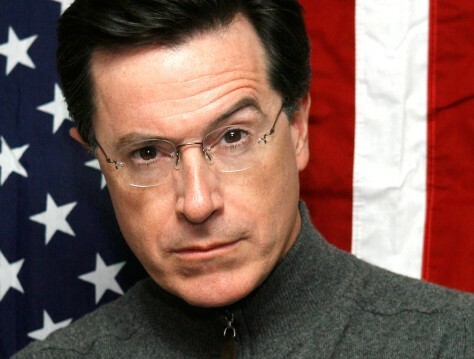 In America, nobody campaigns against Jesus. But let's be clear: in Trump's America Jesus certainly looks like a socialist loser. 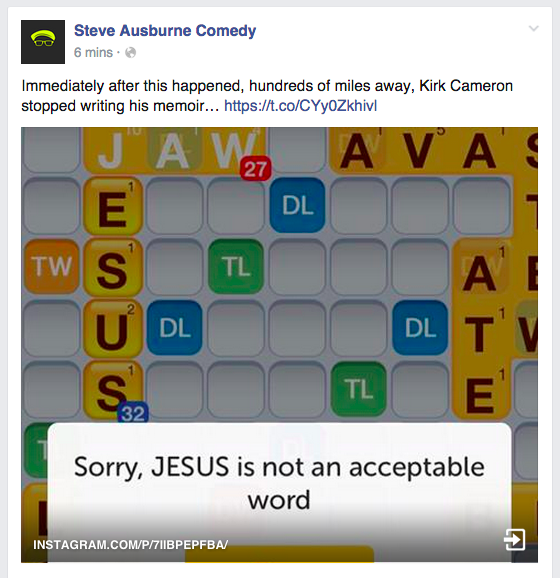 If we're talking about the historical Jesus who disavows wealth and is crushed by Roman execution, Jesus is a loser. If we're talking about the Pauline Jesus who empties himself to the lowest possible status (cf. Phil 2), Jesus is a loser. If we're talking about Luke's Jesus who founds a community of common wealth, Jesus is a loser. The Jesus of John's Apocalypse is a "winner" of sorts, but still probably a bit too lambish within Trump's economy. Most importantly, Jesus in various ways and in various portraits identifies with the disenfranchised. Jesus clearly resides on the wrong side of Trump's wall. 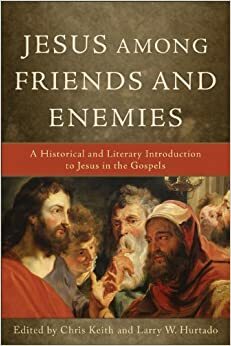 Every year when I'm finalizing my syllabus for a NT or Jesus class, I'm impressed again at how great this book is: Jesus among Friends and Enemies by Chris Keith and Larry Hurtado. I am so very grateful that this book exists. It allows me to introduce the Gospels and Jesus studies simultaneously. The introduction by Chris Keith should be required reading for every seminary student. The essays by Stuckenbruck, Bauckham, Carter, et al. are guaranteed to open up new worlds of meaning for my students. I look forward to these class discussions every year. Really, I feel honored to have been included in the table of contents. If you teach a Gospels or Jesus class, do yourself a favor an pick up an exam copy. Today the Jesus Blog is very pleased to host a guest post from Prof Joan Taylor of King's College, London, addressing the significance of Jesus for the current tragedies associated with the Syrian Refugees. The unstoppable force of refugees fleeing to Europe has in various places hit the immovable object of an attitude that there is no room at the inn. Spaces are filled. Migrants should be kept out, in order to preserve jobs, health and welfare services. In an environment of austerity, where economic cuts have hit people hard, this cold-heartedness in part derives from a deep sense of insecurity. At this time it is worth remembering that Jesus of Nazareth is in the Bible presented exactly as one that would be rejected by such European countries: a refugee child. In the Gospel of Matthew, Jesus’s (adoptive) father Joseph and mother Mary live in Bethlehem, a town in Judaea near Jerusalem. It is assumed to be their home village. Certain magoi (‘wise men’/astrologers) come from ‘the East’ to Herod, the Roman client king of Judaea, looking to honour a new ruler they have determined by a ‘star’, and Jesus is identified as the one. All this is bad news to Herod, and Herod acts in a pre-emptive strike against the people of Bethlehem and its environs. He kills all boys under two years of age in an atrocity that is traditionally known as ‘the massacre of the innocents’ (Matthew 2.16-18). But Joseph has been warned beforehand in a dream of Herod’s intentions to kill little Jesus, and the family flees to Egypt. It is not until Herod is dead that Joseph and Mary dare return, and then they avoid Judaea: Joseph ‘was afraid to go there’ (Matthew 2.22) because Herod’s son is in charge. Instead they find a new place of refuge, in Nazareth of Galilee, far from Bethlehem. 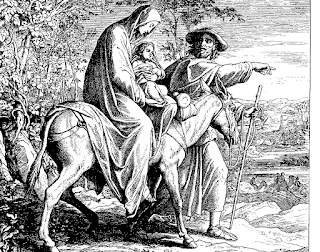 Jesus’s earliest years were then, according to the Gospel of Matthew, spent as a refugee in a foreign land, and then as a displaced person in a village a long way from his family’s original home. Scholars of the historical Jesus can be suspicious of this account, as also with the other nativity account in the Gospel of Luke 1-2. It is clearly constructed with allusions to Jesus as a kind of Moses figure: just as Moses was under threat from an evil Pharaoh who killed children (Exodus 1-2), so was Jesus. But while resonances with the scriptural precedent are intended, there is no real need for the author to invent the idea of Jesus being a refugee child somewhere in Egypt to have him being Moses-like. There is a quote, ‘Out of Egypt I called my son’ (Hosea 11.1), in Matthew 2.15, but the ‘son’ concerned is historical Israel, not Moses and not the Messiah, and it sits uncomfortably with the story. The author of Matthew did not need to build a myth out of such a text. 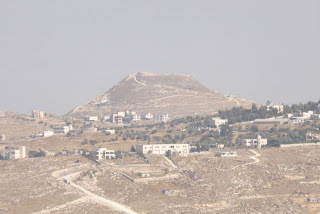 It seems not then unlikely to me that Jesus’s family, with a lineage traced to the great king David (Matthew 1; Luke 3.23-38; Romans 1.3; 15.12), opted to flee from Bethlehem, long-standing residence of the kingly line and their original home. In many traditional societies such locations of clans are maintained, even with social disruptions. 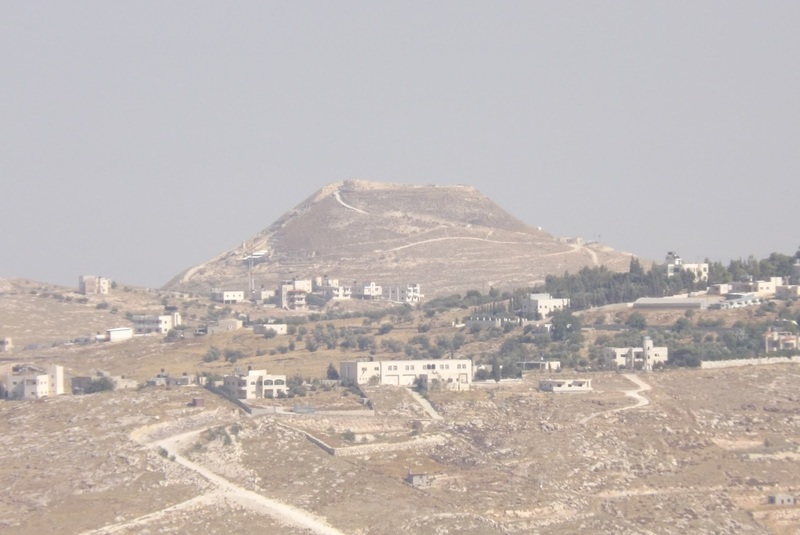 Archaeology has shown how Herod built a palace complex at Herodion, including his future mausoleum, nicely overlooking the town of Bethlehem. It was as if Herod was breathing down Bethlehem’s neck. The 1st-century Jewish historian Josephus portrays Herod as paranoid about any possible threat to his rule. He killed his own sons, and had few qualms about killing anyone else’s. As Augustus quipped: ‘I would rather be Herod’s pig than his son’ (Macrobius, Saturnalia 2:4, since pigs are not butchered by Jews). We know also that Jews fled from troubles in Judaea of many kinds in the 3rd-1st centuries BCE, and that Egypt was one of the places they went to as refugees. Josephus comments on the problematic revolutionaries (and their children) that fled there after the First Jewish Revolt (66-70 CE; War 7: 407-19), but they were following a well-worn path. Many epitaphs and inscriptions, as well as historical sources, testify to a thriving Jewish expatriate community in Egypt, made up of earlier refugees that could be joined by others. However, just like today, new refugees were not welcome. A letter of the emperor Claudius, written in 41 CE, states that Jews in Alexandria lived in ‘a city not their own’ in which they were ‘not to bring in or invite Jews who sail down to Alexandria from Syria[-Palaestina]’ (P.London 1912; CPJ I:151). For new refugees, as anywhere, life would have been very hard. The 1st-century Jewish philosopher Philo of Alexandria tells us of the consequences of poverty, which could result in enslavement (Special Laws 2.82). Presumably, Jewish charity and voluntary giving through the synagogue would have helped a struggling refugee family, but they would also have been reliant on the kindness of strangers. The legacy of being a refugee and a newcomer to a place far from home is something that I think informed Jesus’s teaching. When he set off on his mission, he took up the life of a displaced person with ‘nowhere to lay his head’ (Matthew 8.20; Luke 9.58). He asked those who acted for him to go out without a bag or a change of clothing, essentially to walk along the road like destitute refugees who had suddenly fled, relying on the generosity and hospitality of ordinary people whose villages they entered (Mark 6.8-11; Matthew 10.9-11; Luke 9.3). It was the villagers’ welcome or not to such poor wanderers that showed what side they were on: ‘And if any place will not receive you and refuse to hear you, shake off the dust on your feet when you leave, for a testimony to them’ (Mark 6.11). To give to the Red Cross Europe Refugee Crisis Appeal, follow this link. For those who have not seen it yet, Karen King has now released the "translation" of the Gospel of Jesus' Wife fragment that the papyrus's owner presented to her when she was originally approached. The case for its being a modern forgery now seems pretty closed. I refer readers to Andrew Bernhard's guest posts here and here over the weekend on Mark Goodacre's NT Blog. You can also access a collection of Bernhard's internet essays on the Jesus' Wife fragment here. Thanks to Andrew and Mark for these posts.